Our system offers you few ways of adding keywords. 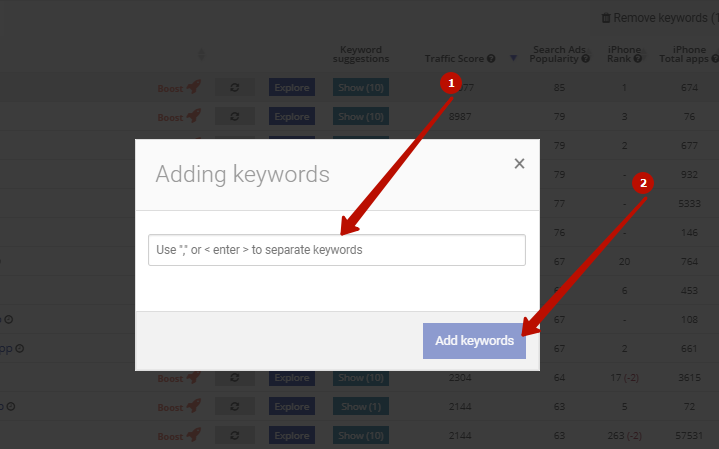 If you want to add keywords, click the button "Add keywords". Now you can the "Adding keywords" window. Enter one keyword, or add few keywords. If you want to add more than one keyword: enter one, then put a comma and after that enter another one, repeat this step until no more keywords left. Multiple keywords must be separated by "commas" or "enter". 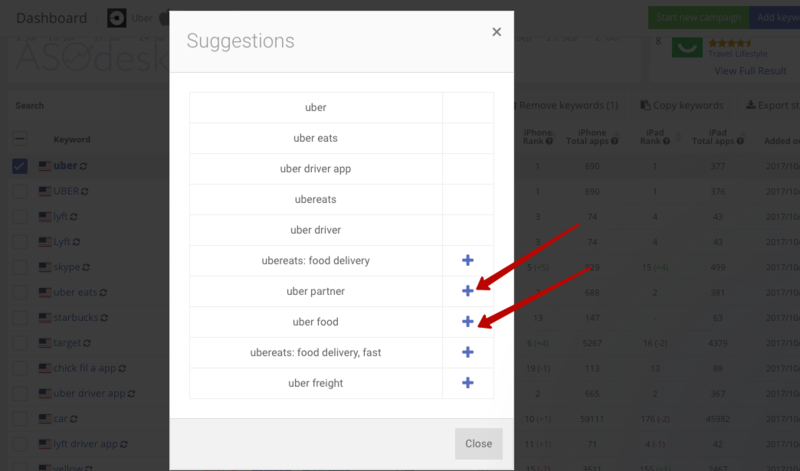 When you enter all keywords you need, click on the button "Add keywords". 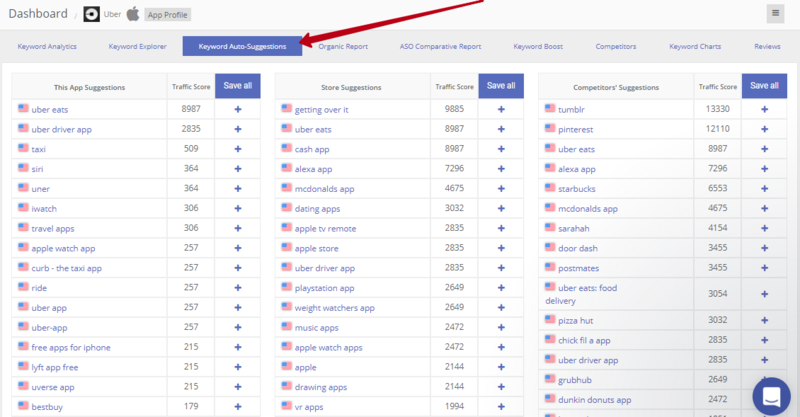 Add keywords from the column "Keyword suggestions". Click on the button "Show" which is opposite of any keyword. You can see the list of keywords. 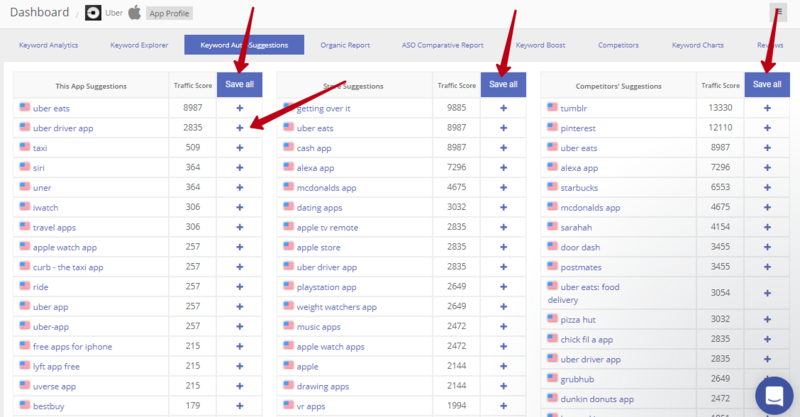 Some keywords have already been added to your Keywords Analytics and some haven't, but you can do it. Click on the icon "cross". And then you will see keywords in Keyword Analytics. Add some keywords from the tab "Keyword Explorer". 1) Enter any keyword to the row, and to the right of the viewer there is the list of keywords, which you can add in Keyword Analytics. 2) Click on the icon "cross". You are able to add some keywords from tab "Keyword Auto-Suggestions". But at first, you should do some actions. Here is the link to help. 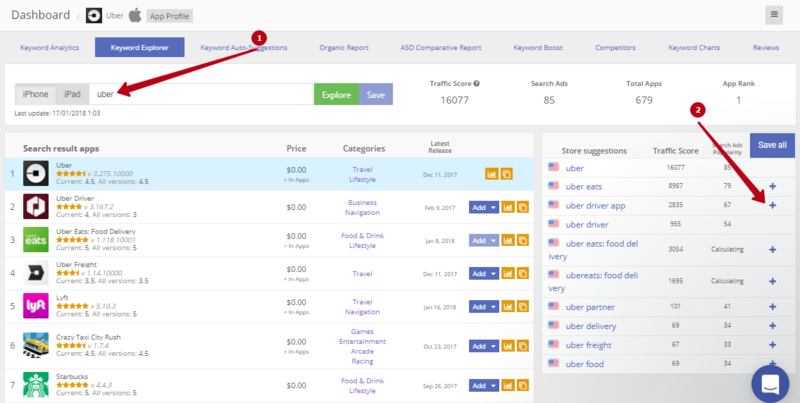 Now you can see three columns, where you may add all of the needed keywords. Click on the icon "cross" or add all of these. Click the button "Save all". 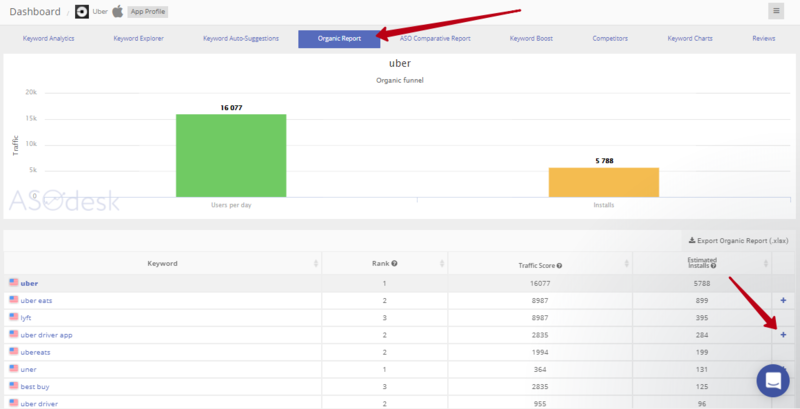 Add keywords from Organic Report. Click on the icon "cross".